Vancouver's best guitar store! Fine Custom Electrics, stringed instrument repair, amp & pedal repair, and best prices on major brands. Now here on Reverb! At our Retail and Repair Shop, located in Vancouver's Main Street district, we offer everything to make your current guitar better: setups, crack repair, paint jobs, and other upgrades. Plus we offer the BEST DEALS on brand new and vintage musical instruments, amps, pedals, electronics, parts, accessories and more. Basone Guitars uses the highest quality handpicked tonewoods, such as figured Big Leaf Maple, Honduran Mahogany and Brazilian Rosewood. Every individual electric's neck width, scale, and radius is done pertaining to each model, offering options that you can not buy off the shelf. Design, function, balance, and tonal flavor come together in these amazing instruments. 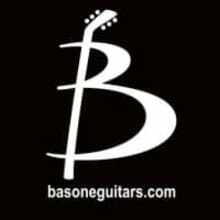 Guitar builder Chris Bas had been working in the guitar manufacturing business for over 10 years when he decided to establish Basone Guitars in 2004.